An electrifying new thriller series for listeners who love Vince Flynn and Brad Thor! 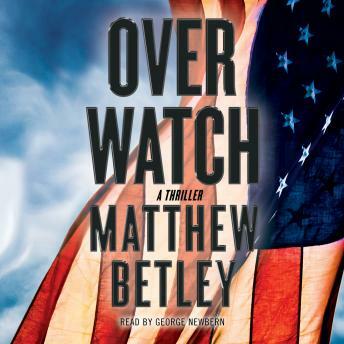 Former Marine officer Matthew Betley introduces fearless soldier Logan West in this action-packed, globe-trotting, edge-of-your-seat debut. Former Marine Force Reconnaissance officer Logan West emerges from a blackout after drinking away the worries of his ruined marriage and PTSD, an all-too-familiar scene for the recovering alcoholic. But he wakes to more than a killer hangover: a professional mercenary has been sent to capture him. After an embattled showdown, Logan impulsively answers the dead man’s ringing phone, triggering a hasty rescue of Logan’s estranged wife and a global race against the clock to track down an unknown organization searching for an Iraqi flag central to a planned attack in the Middle East—one that will draw the US into a major conflict with Iran. Logan and John Quick, Logan’s former platoon sergeant who has also been targeted by these shadowy mercenaries, are contracted as “consultants” to assist the FBI as part of a special task force led by Logan’s close friend. From the plains of the Midwest, to the Alamo and mansions in northern Mexico, to the war-torn Al-Anbar province, the battles build in scale and scope and pit an international team against mercenaries and former Special Forces operators employed by the world’s largest private security contractor, whose owner has a shadowy personal vendetta of his own. Meanwhile, Logan is battling his own demons, unable to shake the trauma of the ambush that his Force Recon unit suffered at an insurgent torture compound in Fallujah in 2004. Mixing thrilling, you-are-there fight scenes with high-stakes tactical maneuvers and complex, fully-realized characters, Overwatch is up-to-the-minute and impossible to put down.